FoolProofMe - Renting a Car on Vacation? What Insurance Do You Need? Many people enjoy "destination" vacations where they fly to the location then rent a car for local transportation. When you rent a vehicle, it's important to have the right insurance coverage for the rental. Should you take the coverage offered by the rental company? Or will coverage provided by your personal auto insurance policy and the credit card used to rent the car be adequate? 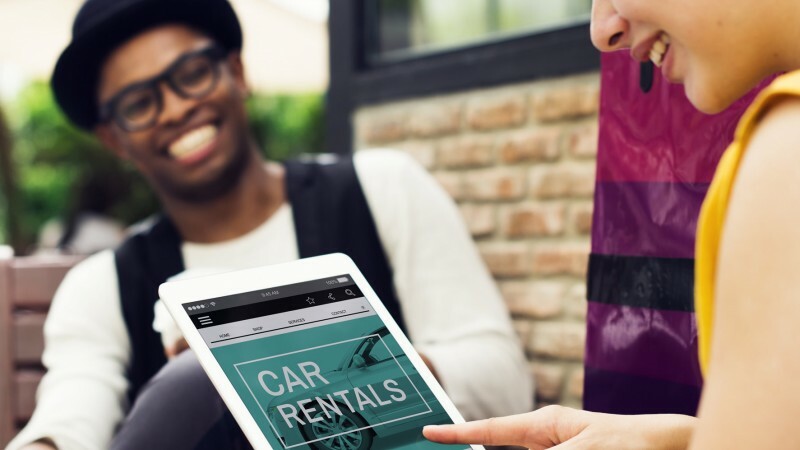 Before you book a rental vehicle (and certainly before you hit the rental counter), doing some preliminary research will help you choose the coverage that's best for you. Here are some steps for checking coverage for car rentals in the U.S. We'll have some tips about coverage for car rentals abroad at the end of the article. What Kinds of Insurance Coverage Should You Consider? Damage to or loss of the vehicle, such as that caused if the car is in a collision, is stolen or is damaged in a non-wreck event such as a fallen tree limb, hailstorm, flood, or fire. Loss of personal property you may have inside the rental vehicle, such as electronics (cell phone, tablet computer, or camera), suitcases, or sporting equipment. The first three types of coverage are very important when you rent a car; the fourth type of coverage for loss of personal property is optional. What Are Your Options for Insurance to Cover a Rental Car? The best option for many people will be the primary coverage provided by their personal auto insurance policy, backed up by the secondary coverage provided by the credit card used to rent the car. Be sure to carefully review the coverage provided by your policy and credit card before choosing this option. Use the questions provided in the next two sections. If you plan to purchase travel insurance to cover your trip, check to see if the policy provides insurance for rental cars. Many do provide such coverage. The final option is using the coverage provided by the car rental agency. Taking this coverage may be the "easiest" because you can sign up when booking a reservation or at the counter, but it is almost always the most expensive. Almost all personal auto insurance policies cover rental cars if you are driving the car for pleasure or personal use. Some may not cover a rental car used for business. The amount of coverage (limits), deductions, and other terms are typically the same for your personal car and a car you rent. If you have auto insurance that provides liability coverage (required by law), collision coverage, comprehensive coverage, and personal injury protection (PIP), then it can provide good primary insurance for your rental car and you can refuse the rental agency's "loss damage waiver" (LDW), also known as a "collision damage waiver" (CDW). However, because of certain common practices among rental agencies be sure you know the answers to the following questions about your personal auto insurance. In addition to checking your policy, it is a good idea to talk to your insurance company's customer service representative and ask for rental coverage in writing. Does your policy cover fees the rental agency may charge after damage to the rental vehicle? These include loss of use of the vehicle during repair, diminished value of the rental vehicle, towing, and administrative fees. Does your insurance policy pay for a new car to replace a rental that is "totaled"? Many policies pay only "book value" for the rental—its current value in the market as a used car. If your policy pays only "book value," ask about the cost of "gap" insurance that would cover a new car replacement for a totaled vehicle. Does the policy cover all types of rental vehicles, such as trucks, SUVs and expensive, "exotic" cars? Some policies may limit the type of rental vehicle covered. Many credit cards, but not all, provide secondary insurance coverage on rental cars. "Secondary" coverage means that the credit card company covers specified losses (up to its limits) that remain after your personal auto insurance has paid the losses it covers up to its limits. To get a specific credit card's coverage you must use that card to reserve and pay for the rental. The person who rents the vehicle must be the cardholder. Because coverage provided may vary widely between cards, call the customer service number on each of your cards and ask the following questions. Then compare coverage among your credit cards and rent the car using the card with the best coverage. Does the card offer secondary coverage of rental car insurance? What types of loss does it cover? What are the limits of coverage? Does the card's coverage have any exclusions? For example, some don't cover damage to tires, rims, or outside mirrors. Does the card cover deductibles remaining after coverage by your personal auto insurance? Is there a limit on the duration of the rental? Some cards will cover the rental for only two weeks, some for 30 days, for example. Are any types of rental vehicles not covered? Many cards don't cover trucks, certain types of SUVs, and expensive or "exotic" cars. Does the card cover diminished use or loss-of-use of a damaged rental? Does it cover full new vehicle replacement value of a totaled vehicle? Rental agencies offer a variety of "protection plans" that typically include a Loss Damage Waiver, extended personal liability, personal injury protection, and personal property protection. Although some rental companies detail the provisions of their types of coverage (but not the costs) on their websites, for many you will have to read the details at the rental counter. The loss damage waiver (LDW) offers the most protection and usually increases the cost of the rental by 30%. The actually daily fee for this coverage, however, can vary widely. This protection is not actually insurance, but a waiver by the insurance company that says that you as renter will not have the financial responsibility if the rental vehicle is damaged or stolen. If you don't have auto insurance, purchasing this coverage may be your best option. Make sure that all drivers of the car are on the rental agreement (you may have to pay extra) because coverage will be void if any event occurs when an unauthorized driver is operating the vehicle. Usually states require basic liability coverage on rentals, but the requirements vary. Be sure to check the limits and terms of this coverage before purchasing. If you have adequate liability on your personal policy and it covers rentals, that coverage will usually give adequate protection. Depending on coverage provided by your personal auto policy, credit card, or health insurance (with personal injury protection for accidents) or homeowner's insurance (with beyond-the-premises coverage for stolen property), you may wish to consider the rental agency's coverage in these areas. For instance, if you have an older car and have dropped collision and comprehensive coverage in your personal auto insurance, you may wish to purchase the rental agency's coverage. Being sure that you have the right insurance for a rental car when you are traveling outside the U.S. is a bit different. Many personal auto insurance policies and credit cards do not extend coverage to rentals you make in Europe, Central America and other areas of the world. However, some insurance companies and credit cards will extend coverage for a limited time to other countries for an additional fee. So inquire about the options and get proof of coverage in writing. Make sure such extended coverage meets the minimum requirements in the country or countries where you are traveling and has adequate liability coverage. Make sure you know the restrictions, exclusions and limits of coverage. Travel insurance for a trip abroad often contains coverage for a rental vehicle. If you are purchasing travel insurance, check for such coverage and its limits and terms. Although buying insurance from the rental agency is usually more expensive, many people traveling abroad opt for the convenience of this coverage. If you choose this option, purchase it when you are making the reservations and review the terms of the coverage. Taking the time to understand and arrange for adequate insurance coverage for a rental car can give you peace of mind as you head out for a restful vacation. It can also save you money—dollars that may allow you to enjoy a few extra treats on vacation.